We talk putting a theramin in our budget, how we call Anton LaVey "Tony," a new genre called "Citrus Rock", An American Werewolf in London, Cecelia met Michael Jackson, Harvest Home, The Birds, Hitchcakes, and then move into the very in depth discussions about the Girl Scout murders from Locust Grove, Oklahoma. We then return to talking about theremins. Steve Soutee was a larger than life lawyer, skirt chaser, horse racer and all around interesting character. The question that needs to be asked is, did he have anything to do with the death of his second wife? We're discussing this in Dale Wiley's podcast Soutee, but here is a crash course about one of the more interesting men to ever live in the Ozarks. 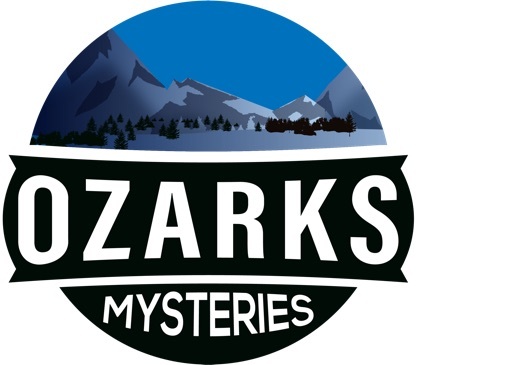 Like any good English term paper, the hosts of Ozarks Mysteries, Cecelia Havens, Stevie Newman and Dale Wiley, outline what they're going to discuss in upcoming episodes and then discuss it. We learn about how Cecelia makes the proper English pronunciation of the word "Albeeeno" farm, how a first grader told Dale that Elvis' casket was shipped and made in Crane, and how Brad Smith embarrassed Stevie's mom. All of this plus much more. Civil War expert and local historian Lisa Martin drops in to tell us about the Ozarks' Civil War history and the many ghost stories that accompany it. Stories of Springfield, Carthage, Wilson's Creek, Governor Phelps, and ghosts haunting everywhere from Stone County to Avila. Welcome to the world of Ozarks Mysteries. Where the ghosts meet the gangsters and the Spooklight leads you to the Albino Farm. This is the place where the Civil War ghosts meet the Springfield Three. © 2019 OwlTail All rights reserved. OwlTail only owns the podcast episode rankings. Copyright of underlying podcast content is owned by the publisher, not OwlTail. Audio is streamed directly from Ozarks Mysteries servers. Downloads goes directly to publisher.